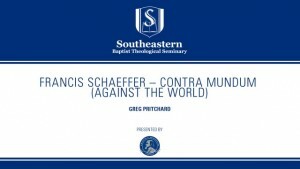 Greg Pritchard, Director of the Communication Institute & European Leadership Forum, speaks at the 50th anniversary event of Schaffer’s lectures. 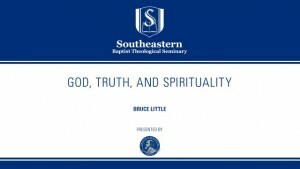 Bruce Little speaks about the lectures that Francis Schaffer gave at Wheaton College. 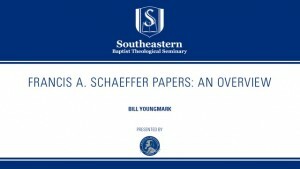 Bill Youngmark, Archivist & Collections Manager of the Library at Southeastern, speaks at the 50th anniversary event of Schaffer’s lectures. 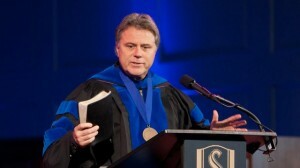 Southeastern names Dr. David Alan Black, Professor of New Testament and Greek, as the first recipient of the Dr. M.O. Owens, Jr. 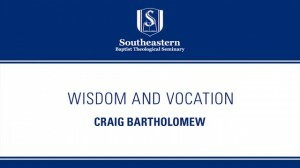 Chair of New Testament Studies. This chair honors the life and ministry of Dr. Owens. 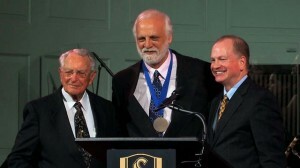 who has served in Southern Baptist ministry for over seventy years.